Windham Community Memorial Hospital was incorporated in 1933. 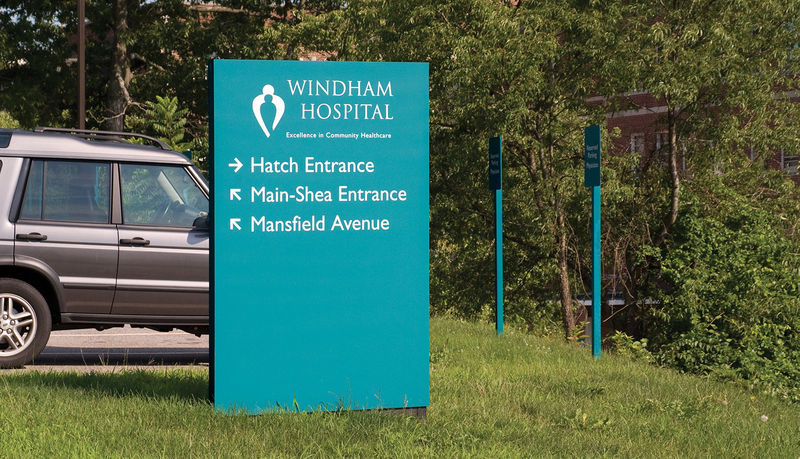 Now named Windham Hospital, this facility is a modern, 130-bed healthcare facility that provides inpatient, outpatient and emergency services in a caring and personal community setting. 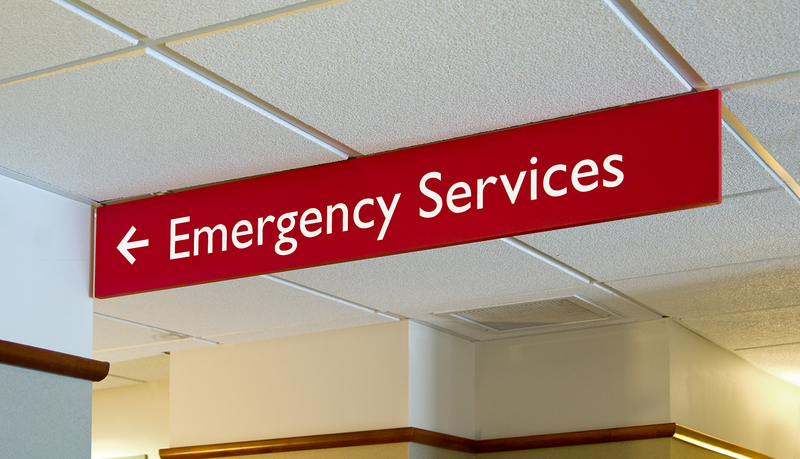 Windham Hospital renovated and expanded the Emergency Department and Ambulatory Services and needed an updated signage system for the new areas. 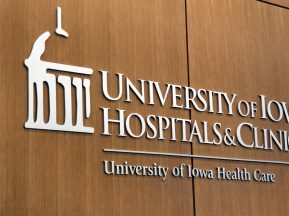 Additionally, it needed a new wayfinding and messaging solution for the interior and exterior of the existing hospital to guide patients and staff throughout the master-planned campus. 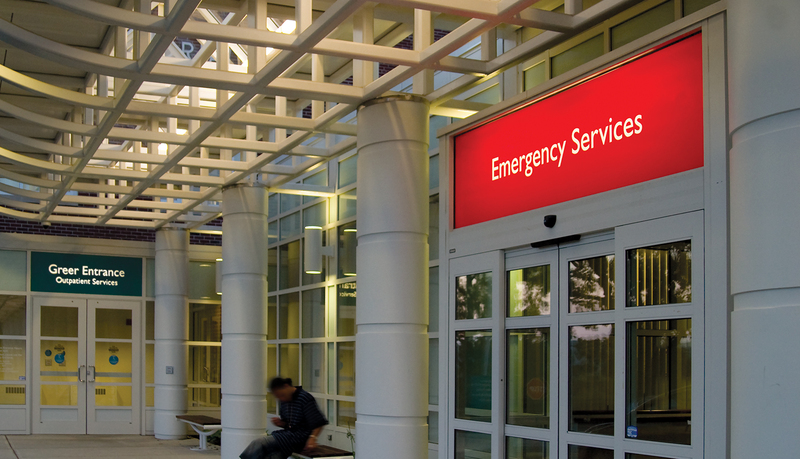 Windham Hospital chose ASI based on previous positive experience on other projects. 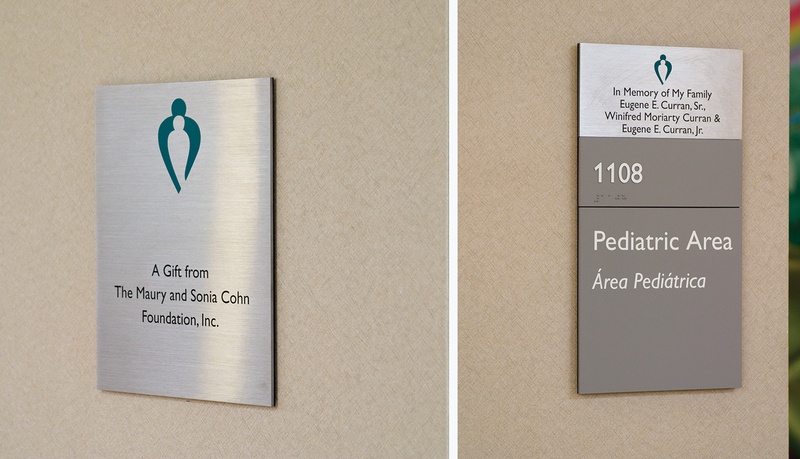 ASI provided wayfinding updates for the entire facility to reflect the new parts of the facility. 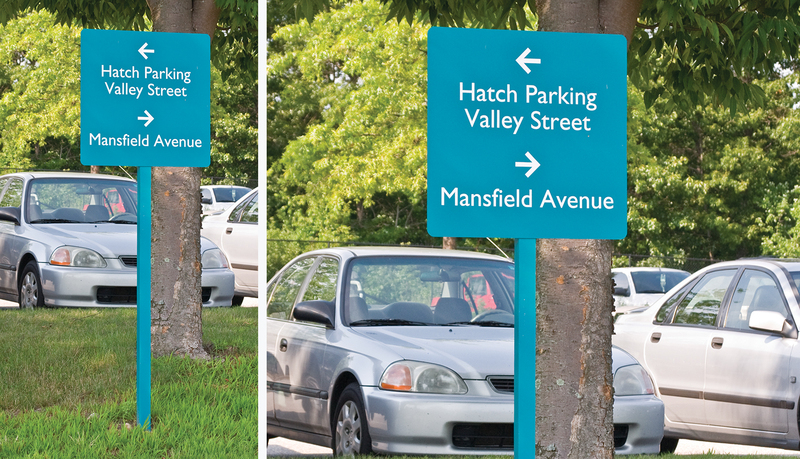 The signs were designed through a collaborative effort with Windham Hospital, S/L/A/M Collaboration and ASI. 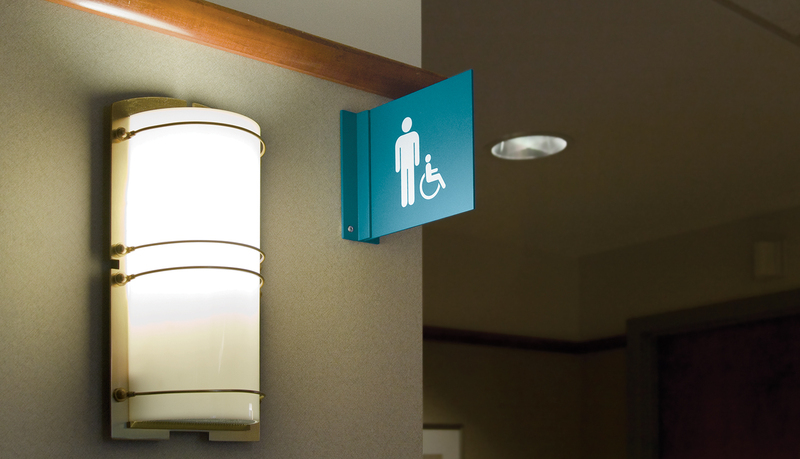 ASI fabricated and installed the interior signage and created a full-campus exterior solution. 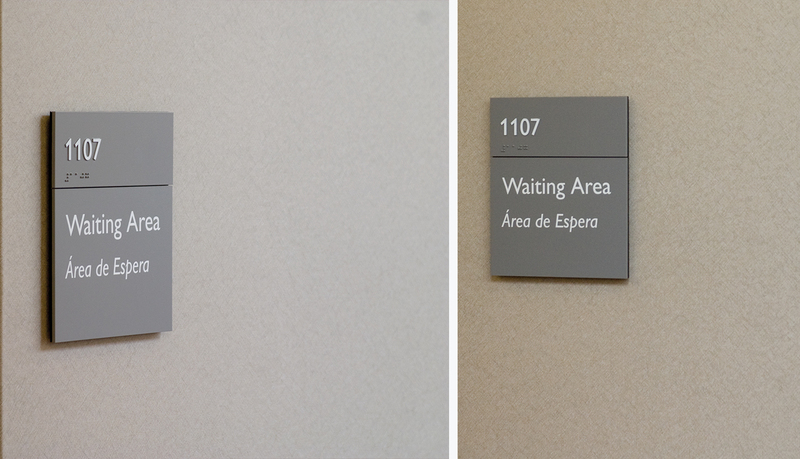 To satisfy the wayfinding needs of the visitors to the facility, the interior signs incorporate English and Spanish. 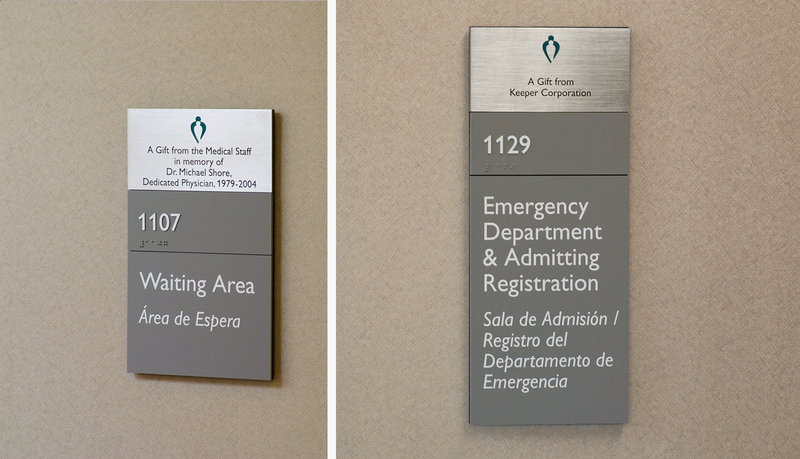 ASI used Infinity™ modular signage system for the room IDs of the new area. 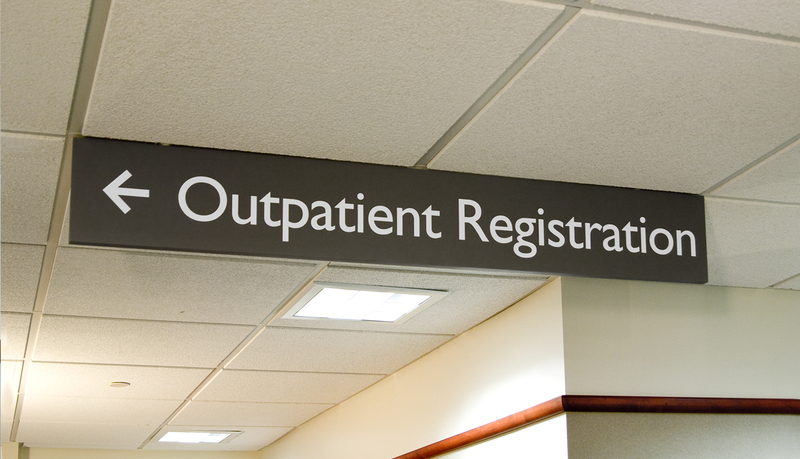 Many of the room IDs incorporate silkscreened stainless steel donor panels mounted to the Infinity chassis to highlight the financial contributors to the hospital’s renovation and expansion. 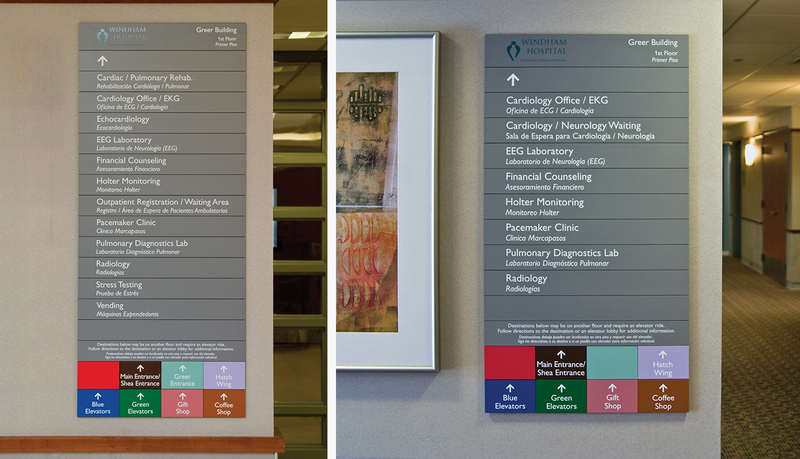 Over 60 directional signs were placed throughout the entire hospital to guide visitors accurately to the new wing. 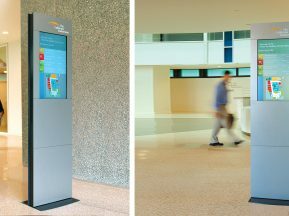 Also, a main directory was provided for the lobby of the new building. 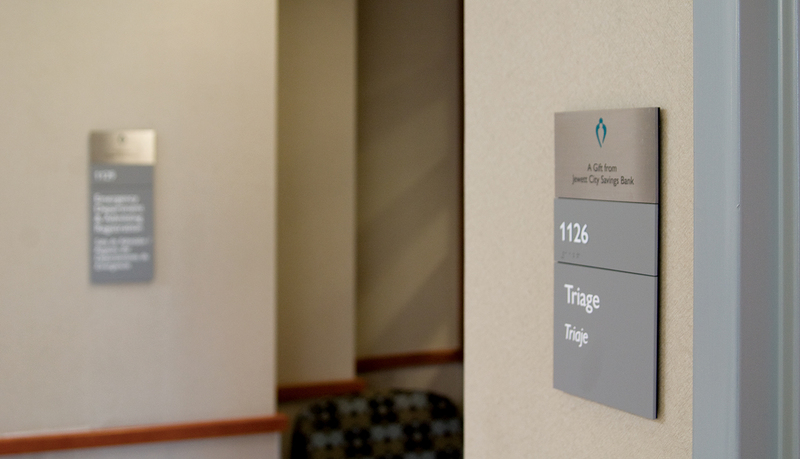 ASI utilized Infinity’s WindowSign™ option for the 12 elevator signs to help keep overall costs down and to enable easy updating as changes are necessary. 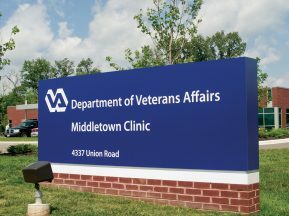 The exterior signage program included over 180 painted-post, double-sided signs to guide visitors. 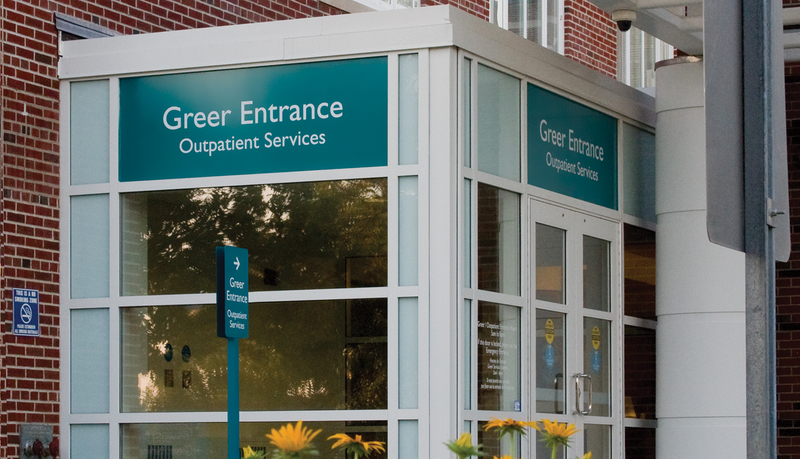 Additionally, ASI provided fiberglass monument signs at each entrance as well as illuminated fiberglass monoliths at every major decision point throughout the campus. 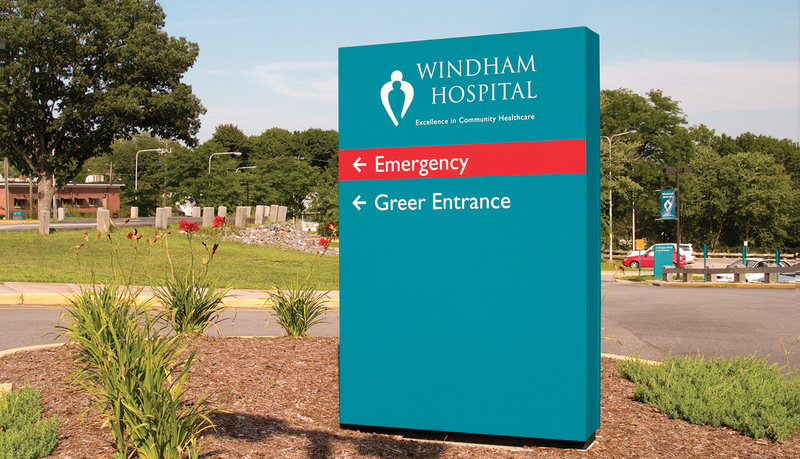 All of the signs incorporate the Windham Hospital logo to highlight the branding and provide visitors with the comfort of knowing they are in the right place. 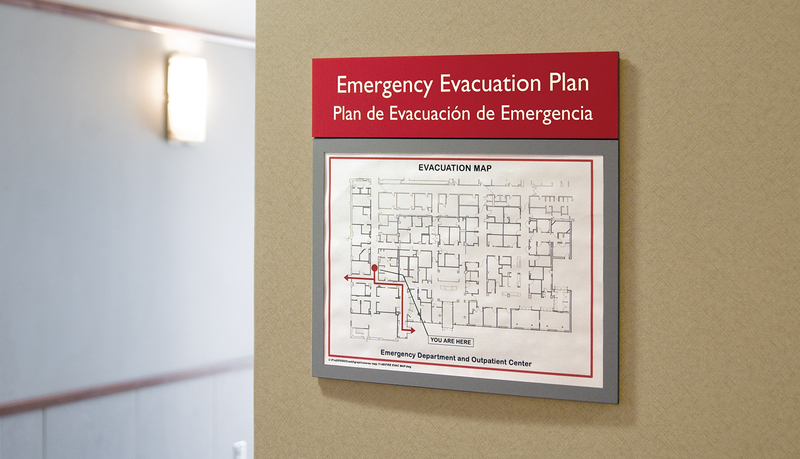 Because of the urgency usually associated with visits to the Emergency Department and Ambulatory Services area, the hospital needed prominent signage to indicate entrances to the facility. ASI devised a unique solution that has proven to be very effective. 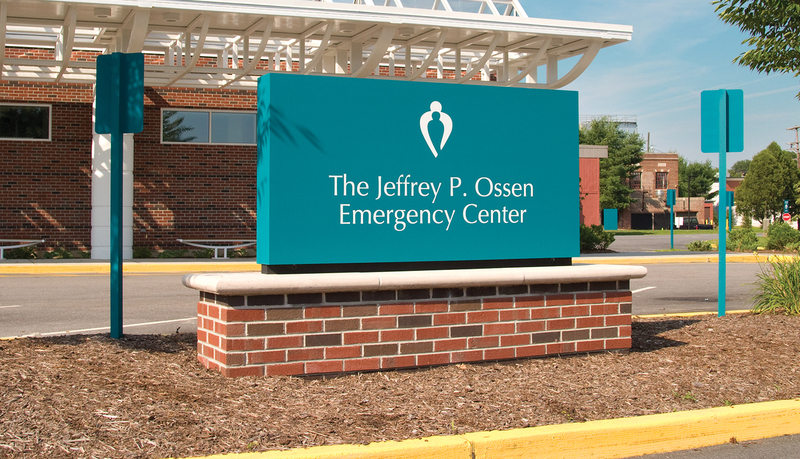 ASI applied translucent vinyl with cutout lettering to the windows above each entryway. These windows were already wired for lighting, which created a distinctive backlighting effect that makes the entrances impossible to miss — day or night. 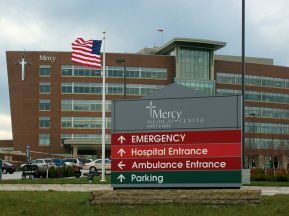 Windham Hospital continues to be very pleased with the cost-effective solution that works so well and perfectly suits the existing design of the building.